For a film released thirteen years after its predecessor, ‘Finding Dory’ hardly skips a beat. Stepping into the dim movie theater, spilled popcorn crunching under my feet as I searched for my assigned electrically-powered reclining seat amid blaring trailers, I found myself surprised at how full the room already was. I was seeing “Finding Dory” late on a Wednesday night, and had incorrectly assumed that this was not going to be a busy time for a showing of a kid’s movie. But as the classic prequel “Finding Nemo” was released 13 years ago—not that anyone’s counting—much of the new film’s audience was young when it saw “Finding Nemo,” and are now adults who are hyped to find out what happens to Nemo and the gang. Even the voice actor of the original Nemo is now twenty-two years old. I was there with my cousins aged 16, 18 and 22, and we all enjoyed “Finding Dory,” almost forgetting that it is a PG-rated Pixar movie. After 13 years of watching every other picture of its ilk get a sequel (“Toy Story” had, like, nine) and waiting on the edge of our seats for “Finding Dory,” audience members are heading to the show with the attitude that it better not disappoint. 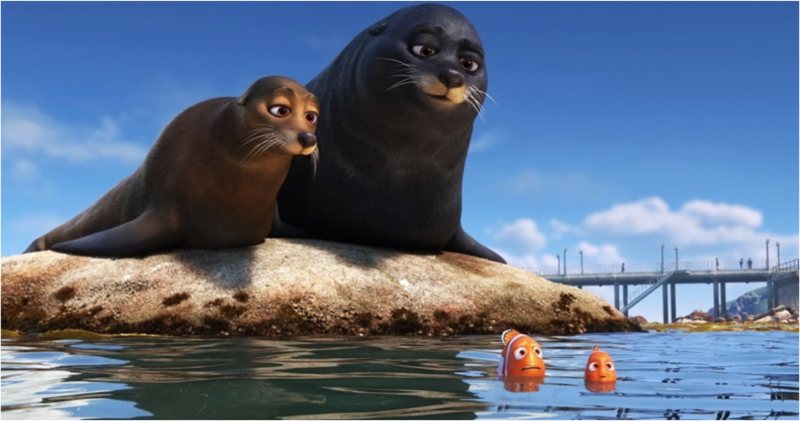 “Finding Dory” picks up shortly after “Finding Nemo” left off—the characters are relatively the same age. The film also fills the audience in on some of the backstory that we didn’t get in the original movie. We learn about Dory’s family, birthplace, childhood living with short-term memory loss, and former education in the art of speaking whale. The narrative also gives insight into the character of Marlin, Nemo’s dad. Nemo, who saw great growth as the hero of the last film, stays a strong, precocious and loyal kid in the new movie. All this gives the two films continuity and links them together perfectly as one long story. Like two peas in a pod. Or two pearls in a clamshell. Or two sea lions on a rock. Dory herself also grows as a character, as protagonists tend to do. Obviously her short-term memory loss is her biggest personal challenge. Throughout the film she has flashbacks to her youth that help her remember her family and guide her along the journey to finding them. 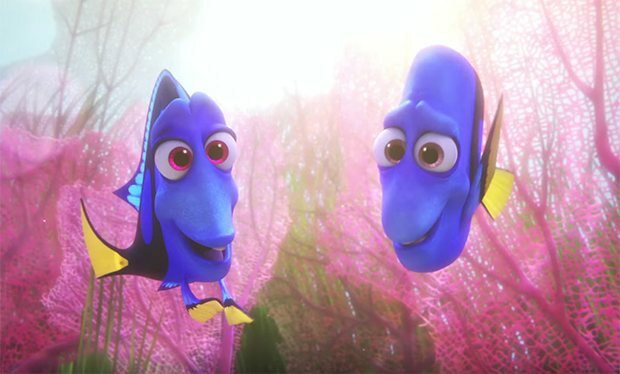 Dory notes that her memory is improving—and she does seem to recall more and more as time goes on. At first it looks like her problems might completely fade by the end of the movie. But for an anthropomorphic-fish-starring film that isn’t quite rooted in the principles of reality, the plot is impressive in its recognition that in real life, problems don’t just go away. Dory has to learn to cope with her cognitive impairment and to use it as a strength. In the end, what is at times a setback is also what pushes Dory to be innovative, impulsive and personable. And those are the qualities that define her as lovable, unique, and resilient. Just as Nemo persevered through a physical incapacity, Dory perseveres through a mental one. Her ceaseless determination is a hopeful message for anyone, and particularly people who struggle with cognitive deficits, mental illness or other similar disabilities. Woven into the fabric of our culture, “Finding Dory” helps to normalize mental disabilities, doing its small part to move marginalized people in from the societal sidelines. “Just keep swimming” remains a prominent theme, and manages never to become trite. Another thematic highlight of “Finding Dory” is its nuanced handling of the topic of animal rehabilitation centers. At one point in the story, a worker in one such center pulls Dory—tangled in a plastic six-pack ring—out of the water, exclaiming, “No respect for marine life!” This scene promotes the idea that these centers help and heal animals, fighting against pollution and other human threats. Furthermore, the “Marine Life Institute” where much of the film takes place, claims that it aims to release every animal it captures as soon as he or she is healthy. Unfortunately, the Marine Life Institute, which is based on the Monterey Bay Aquarium in California, doesn’t just rescue animals—it displays them to the public to make a profit, keeps them in small enclosures, and transfers them to other aquariums that don’t intend on releasing them. The institute is not looked upon favorably by every character. 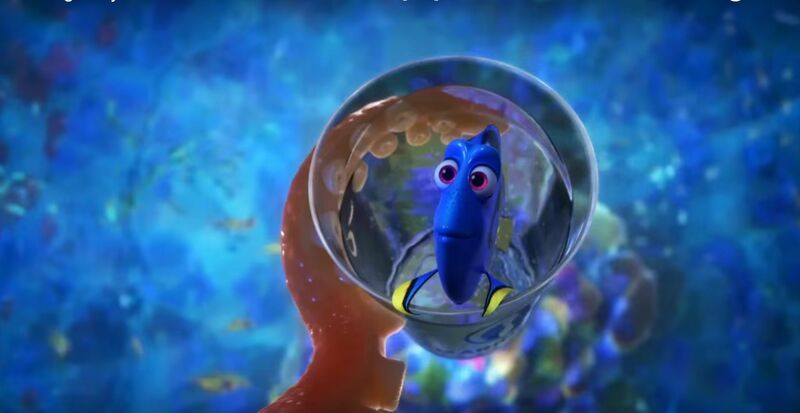 When Dory is taken for rehabilitation from the plastic ring incident, the workers think they’re doing good, but Marlin and Nemo are distraught and panicked by Dory’s capture. Scenes like that one are obviously over-dramatized and removed from the real-life happenings of the sea. But there is a sense throughout the film that most of the institute’s residents would be happier and better off in the ocean, which is a viable point. That said, “Finding Dory” does not make a direct statement on the morality, or lack thereof, of animal rehabilitation centers. Rather, it complicates and adds nuance to an ongoing discussion. Frankly, this kind of subtlety is exactly what we need more of in media, and is an unexpected but welcome contribution from Pixar. “Finding Dory” features good acting and cameo appearances, a great action-filled plot and characters, and stellar writing overall. The film shows quality work and abundant thoughtfulness (allow me to reiterate one last time that producers have, after all, had 13 years to think). It’s appropriate and entertaining for all age groups, including adults. It might be true that “fish are friends, not food,” but “Finding Dory” certainly serves as food for thought.